Floating amongst the sharks of comic industry and creator drama exists a courageous little dolphin: The Zipper Club. Born from the personal experiences of writer Len N. Wallace and drawn by the skilled (and perfect for this book) Brenda Lopez is a tale that mixes just the right amount of funny with the serious business of living with a heart defect(s). Wallace pulls from his childhood, living with a repaired congenital heart defect (CHD) and the adventures he had at camp with peers in similar circumstances. His personal experience with the subject is obvious in how comfortably he weaves through a serious subject, while making it immensely entertaining and lighthearted. Lopez adds a unique touch to the atmosphere of the book. Her lines and color give the mood an even keel throughout, working for both the serious and fun moments. I honestly love her style as I’m ever the fan of uniqueness, a fact that makes her work an integral piece of giving Zipper Club it’s genuine feel. 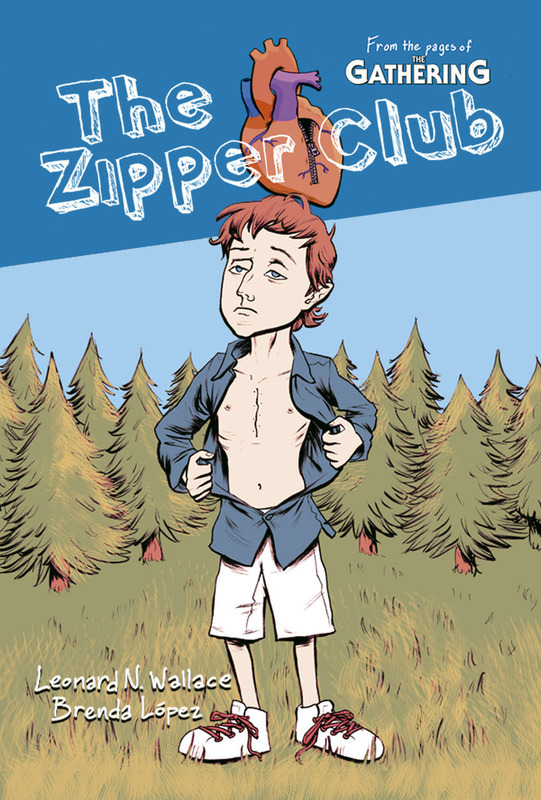 The Zipper Club: Year One, aptly named for the zipper-like scar most earn through heart surgery, focuses on a group of youngsters who are thrown together for the first time at Camp Bravehearts, a place for kids with heart defects like his. The story helps the main character, Cliffy, deal with the limitations that come along with a repaired heart, be it physical or not having peers he can relate to. Originally starring as shorts in GrayHaven Comics’ The Gathering, Wallace and Lopez turned to Indiegogo to raise funds to tell more of the story. With that success the Zipper Club aims to provide individuals living with CHD’s an outlet full of relatable characters and a creative place to cope. As a father of a child born with heart defects, I’m beyond grateful to Wallace and Lopez for being brave enough to put it out there. 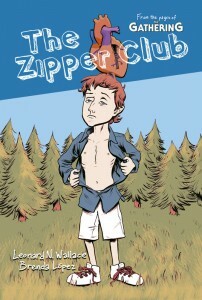 Zipper Club is one in a small trend of books that is giving characters with other abilities the spotlight. Reminding us all that comics really are for ALL of us. Visit the Bigcartel store to pick up your own copy of the book or a shirt! As an added bonus, profits from sales will help send five lucky kids living with CHD to camp! Chip (@ChipReece) is the occasional blog writer and sometimes editor at StashMyComics. He also happens to be co-creator of the upcoming graphic novel Metaphase, inspired by his son, Ollie, who has Down syndrome. Ollie was also born with two heart defects, so you can bet he’s behind The Zipper Club all the way.